How to Use Work Breakdown Structure (WBS)? Current: How to Use Work Breakdown Structure (WBS)? A Work Breakdown Structure (WBS) is a decomposition of all the work necessary to complete a project which is arranged in a hierarchy and constructed to allow for clear and logical groupings, either by activities or deliverables. A Work Breakdown Structure is a critical tool for organizing work, building realistic schedules and cost estimates, and controlling. which is a grouping of project work elements to organize and subdivide the total work scope of a project. The steps below outline the major steps to take in creating a Work Breakdown Structure. Apply the WBS to, as needed, change control, risk, budget, cost, and communication management, etc. 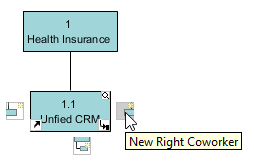 Name the diagram then press OK. We will name the diagram Health Insurance in this tutorial. Move the cursor to the element Health Insurance, then click the resource icon New Subordinate. Moving the cursor to the element Unfied CRM, then click the resource icon New Left Coworker or New Right Coworker. Repeat step 6 for more coworkers of element United CRM. To create a subordinate of element United CRM, move the cursor to element United CRM, then click the resource icon New Subordinate. 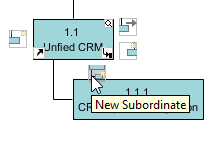 Rename the new subordinate to CRM System Integration. 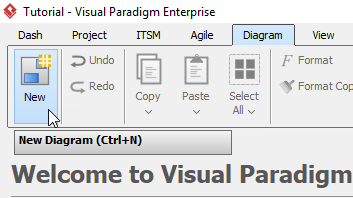 Move the cursor to element CRM System Integration, then click the resource icon Create Above Coworker or Create Below Coworker.